Yuhi and Asahi both decided to come to the Philippines to study English. Yuhi, the eldest, came to Pines Academy 3 years ago right after graduating from senior high school in Japan. She stayed in the academy for 6 months. 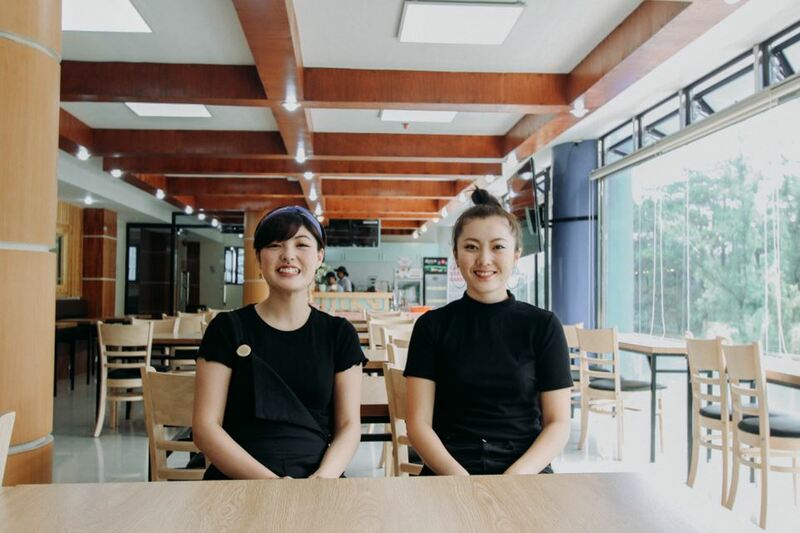 She found Pines Academy through online search as it is revealed to be one of the best English academies in the Philippines. After Yuhi’s stay in Australia, she decided to go back to the Philippines and study English again and this time with her younger sister, Asahi. The decision of Asahi to come to Pines Academy was because of the noticeable improvement of her older sister when it comes to English speaking after finishing Pines’ Power Speaking Course, so she decided to give it a try. On Point : What are the things you like about studying English in Pines ? Since studying English in the Philippines is a first time experience for me, I felt nervous during my first 1 on 1 class because my speaking and comprehension skills are not yet sufficient for interaction. As I recall it, the class went by and I felt more comfortable and confident about myself because my teachers are both friendly and professional. They always give comments on how to improve on areas like speaking and pronunciation;this is the reason why I was more inspired to study English. On the other hand, even if it’s my second time to come here, I also felt the same degree of nervousness because I remembered how I started to learn English. I was a level 1 student three years ago and can’t understand simple sentences, even simple vocabulary. Thanks to my teachers’ patience, I have improved when it comes to speaking in English! Another great factor of my improvement is Pines’ “English Only Policy” (EOP) that made me talk to my foreign friends all the time. I felt like speaking in English became natural part of my system. In our classes, whenever we don’t understand a certain topic, our teachers are always willing to thoroughly explain the lesson until we fully got the idea. Whenever I can’t express myself, my speaking class teachers guide me in composing appropriate answers by giving me some examples. My group class teachers are hands-on as they check if our understanding is deep resulting to a productive discussion with other foreign students. This makes me feel comfortable. 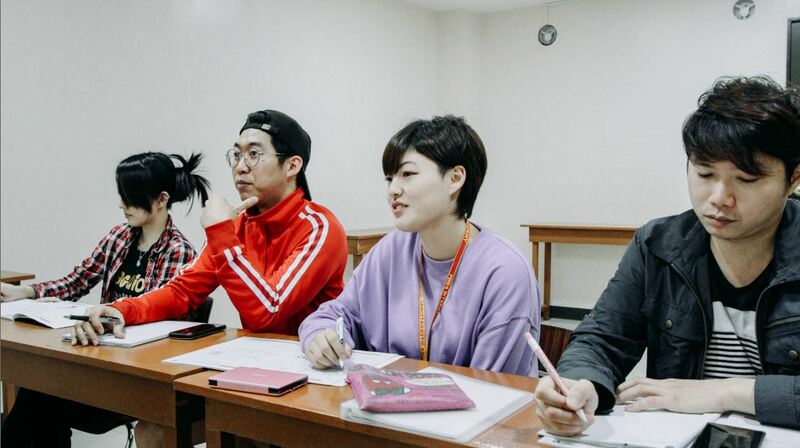 Group classes also give me the opportunity to learn some interesting facts from my classmates through sharing information about culture, personal experiences and among others. And for me, that’s the best thing about having a group class there’s a wide range of learning. I love and enjoy all my Pines classes, but my favorite is Idiom 1:1 Class because it gives me the chance to learn some unique and important English expressions that I can’t learn on my own in Japan. This also gives me a chance to memorize deeper vocabulary and use them in actual life abroad. Aside from learning idioms, I also love my reading class wherein I learn proper pronunciation and the American accent which, for me, is very useful. When it comes to group classes, my favorite is also discussion class because I get to share something about the Japanese culture to my foreign classmates while learning English together. 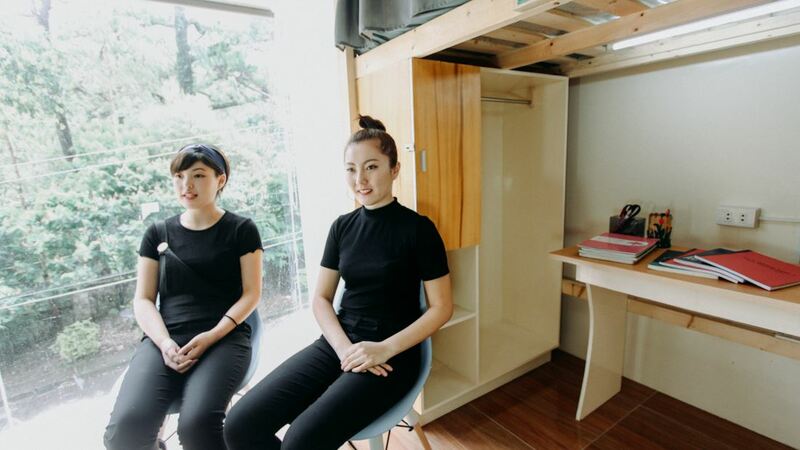 Before coming to the Philippines, we were both worried about having a foreign roommate which made us choose the twin bedroom. However, we are not staying in the same room together because we wanted to have an experience in being exposed to an English speaking environment when we are in our bedrooms. Another good point is that, we have a personal fridge in the twin bedroom. In addition to that, toilet and shower is separated, so we don’t need to wait when somebody is using either the toilet or the shower. We are also provided with a huge mirror which is, for Asahi, an additional convenience since we are woman. Students of Pines Academy get to spend their weekends touring around Baguio City or even places outside the city. For us, we spend our weekend drinking coffee in the cafeteria, going for a shopping or visiting a café with friends and classmates. We also love going to the Night Market where we can buy authentic Filipino street food and cheap but high quality clothes. Over-all, Yuhi and Asahi Hazemoto had a great time learning English while they were in Pines Academy. 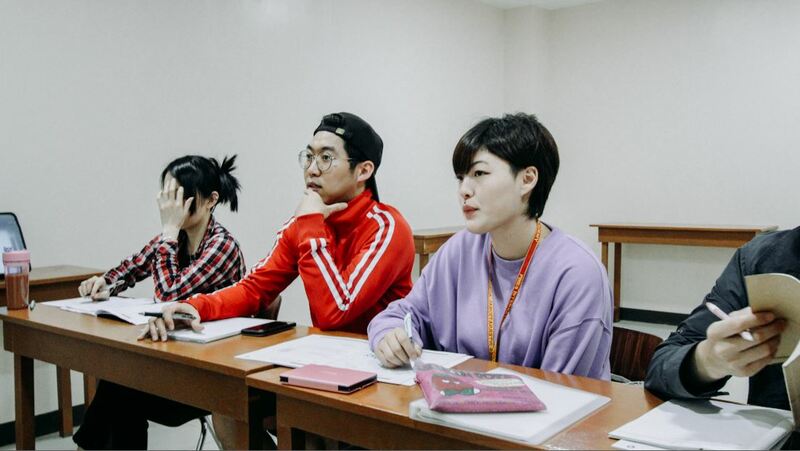 They have also considered studying English in Cebu, but both highly recommend Pines in Baguio City because from their experience, they were focused enough on studying through the cool weather, English speaking environment and satisfactory facilities that are already available. 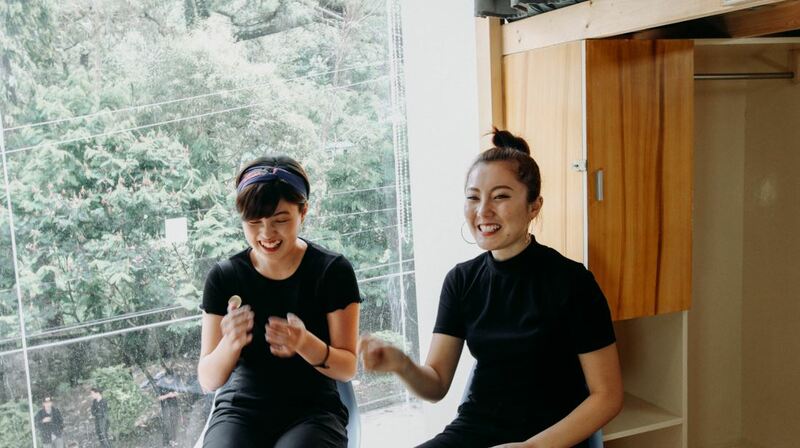 Aside from that, the sisters attest that the Power Speaking Course is challenging, but it’s okay because it is proven to be efficient and effective in improving one’s English speaking skill even in a short period of time. Yuhi experienced it twice and Asahi was also satisfied.